boobie bikkies Archives - You're Doing Great, Baby! This is part three of a three-part series about breastfeeding with Insufficient Glandular Tissue. You can read my breastfeeding story here. This post is a collection of everything I’ve wanted to get off my chest (ahem, pardon the pun 😉 about facing breastfeeding challenges. Just because you can’t exclusively breastfeed it doesn’t mean you can’t breastfeed at all. Please don’t judge bottle-feeding mums. Please don’t judge women who have stopped breastfeeding after breastfeeding challenges. Please don’t judge any mums! The things women are told to do to increase their supply are very daunting for a first-time mother still learning the ropes. It’s all very well to say to feed and pump around the clock, but when you have a baby who takes a long time to settle, naps for 40 min stretches, needs you to hold them constantly and their feeds take an hour (as Leo’s did), that’s pretty much impossible. Formula is necessary for some women, for lots of different reasons. I felt like I was feeding him poison at first because of everything I’d heard and that’s soul destroying. Please acknowledge a woman’s grief when breastfeeding doesn’t turn out as she had expected. A new mother is as vulnerable as her tiny baby. She’s spent 9+ months nurturing this little person and she wants the absolute best for them and it’s very confronting if you can’t give them what they need. This is part two of a three part series about living with Insufficient Glandular Tissue (IGT). You can read about my story here. Here are some things I have learnt from my two experiences of breastfeeding (and supplementing with formula) due to IGT. Best is best, sweet lady. Only you can forgive yourself. Try to make peace with, and love, your breasts. They are doing their best. Give yourself permission to grieve and feel sad/disappointed/angry. It’s not always going to feel so hard. The vast majority of people who see you breastfeeding/bottle feeding/using a supply line won’t judge you. They may be curious if they see you mix feeding, but they won’t judge you. Women often give themselves a much harder time than anyone else would. Surround yourself with support. Because IGT and related conditions are pretty rare, sometimes your best support will be from other mums online. Like the amazing IGT Mamas Facebook group. Once I imagined love, rather than just milk, being transferred through both breastfeeding and bottle feeding, I felt so much better about it all. It’s really annoying to read in a lot of breastfeeding literature that it’s very uncommon to have bonafide low supply (i.e. supply issues that aren’t due to some other issue with baby’s latch or introducing formula etc.) when you have bonafide low supply. It’s World Breastfeeding Week this week and to celebrate I wanted to write about my breastfeeding journeys with my two boys. It’s not a conventional story of “successful” breastfeeding, but I am proud of our story. I was diagnosed with Insufficient Glandular Tissue (IGT) when Leo (my eldest son) was 3 days old. I had been expecting to breastfeed through any challenges that came our way. I had read all the literature about ‘boobie traps’ and formula compromising your supply, so it was a horrible shock to have health professionals telling me that I needed to supplement him. I thought that if I saw enough Lactation Consultants someone would tell me that it had all been a bad dream, but no-one could tell me that I’d ever be able to produce enough milk for my little one. Every bottle felt like a reminder of my inadequacy and failure as a mother. To say that I was shattered by not being able to exclusively breastfeed is an understatement. I left the hospital feeling like Mother Nature and hours later I felt like a worthless piece of junk. It felt like I was grieving for a death – the death of a relationship with the most precious person in the world. I felt deeply ashamed of feeding Leo formula, and bewildered by all the extra jobs: sterilising bottles, counting out scoops of formula, having a warm bottle ready for him as soon as he needed it – all at a time of the greatest sleep deprivation. Chronic low supply is chronically depressing! Every time I expressed I was faced with it, every time he chugged down a bottle of formula I was faced with it. Eventually I had to stop pumping after his breastfeed in the middle of the night because I couldn’t sleep afterwards. 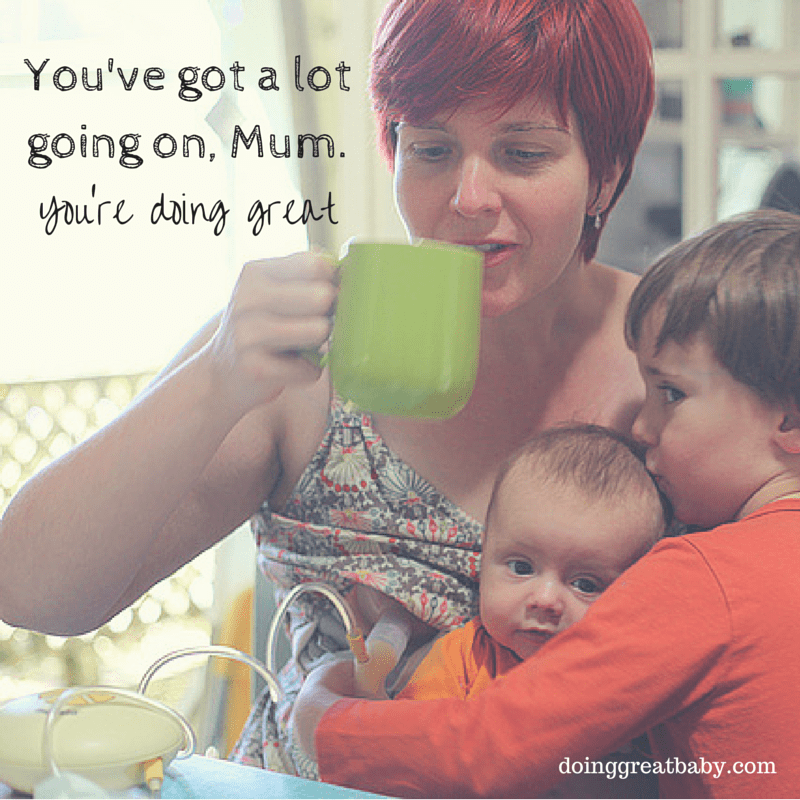 In those early days breastfeeding feels like mothering itself, and many of you would agree. Part of me agrees… I loved our time we had breastfeeding. BUT, when you have something like this happen, you’ve got to find another way of thinking or else you’ll go mad. It’s the first question you’re asked by GPs and other health professionals: “Are you breastfeeding?”. So if you ‘fail’ at breastfeeding it feels like you’ve failed full stop. 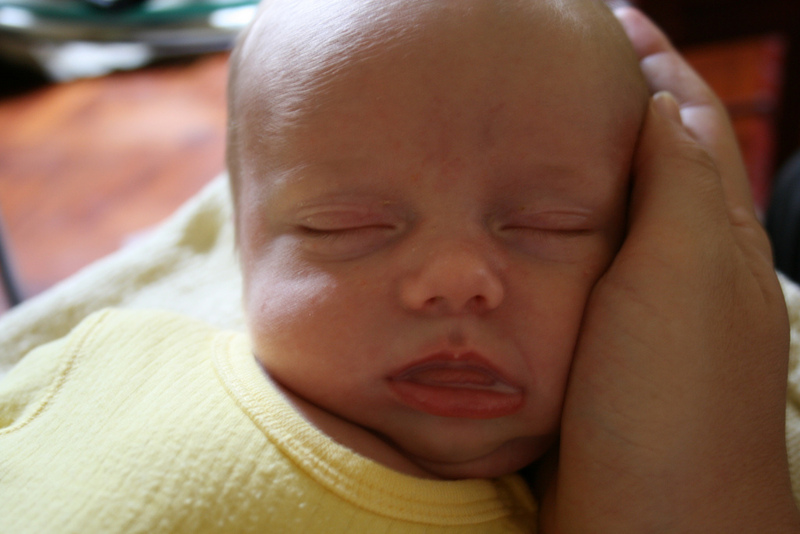 Making new mothers feel like failures is so unhelpful.